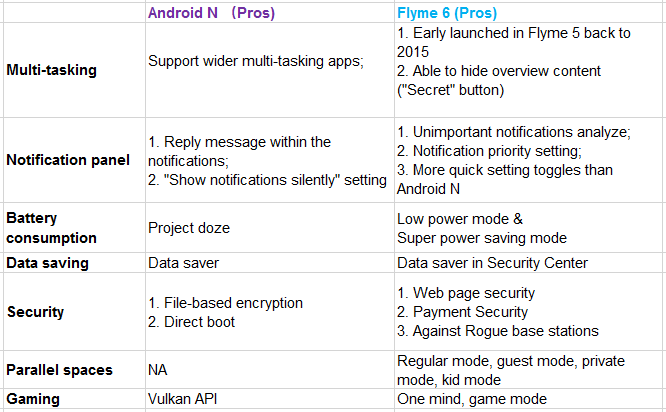 We are starting the comparison series among Flyme 6 and Android N, we will seperate them into topics like: general overview, UI experience & each feature comparison. Limit how much data your device uses with Data Saver. When Data Saver is turned on, apps in the background won't be able to access cell data. Share your ideas about the comparison here, and do let us know what you want to learn more from this topic, have a nice day! Give us at least ONE strong reason why Meizu doesn't want to upgrade their flagships to Android Nougat! And please don't tell me that Flyme 6 based on Lollipop already embeds most of them and therefore it isn't worth!